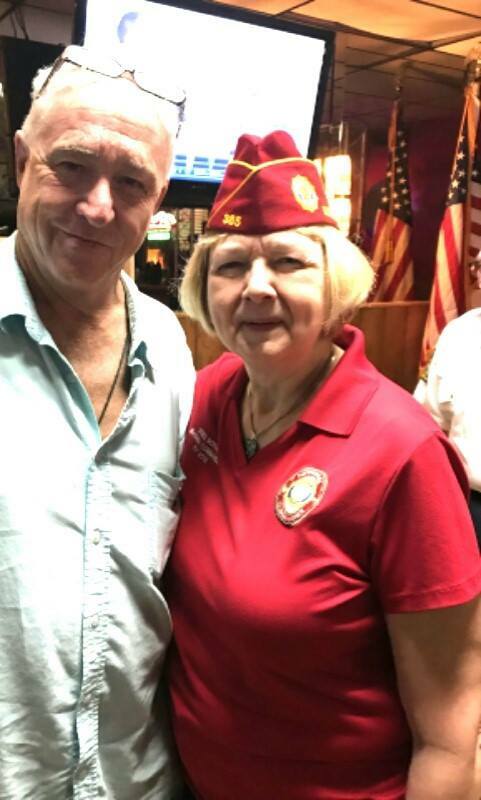 I happened into American Legion Post 92 and stumbled upon some big-to-do that included Denise Rohan, the National Commander of the American Legion—we’re talking the boss, capo di tutti capi—the leader of the American Legion nationwide!!! In any event, I had the extreme honor of being introduced to Denise by the 92’s Commander Guy Pagan. And when Denise Rohan stepped up to the microphone and made her brief, poignant remarks, she made a point of pointing me out—as a journalist who writes about and promotes the American Legion and our veterans. What’s better than a pat-on-the-back with a salute from the high command! I beseech everyone here in the Hip Hamlet of Hollywood to drop in, pay your respects. Buy a drink, have some lunch or show up for Wednesday’s weekly BBQ (best steak, chicken, rib deal in town). This entry was posted in Kent Wallace, Posts on February 6, 2018 by chris.